I have been part of 6 television advertisements for my brand so far and honestly, ad making is a very interesting process. A lot of effort goes into it and the stakes are really high. Advertising agencies are experts in making ads. The process has been refined over time and there is a standard way of making ads. 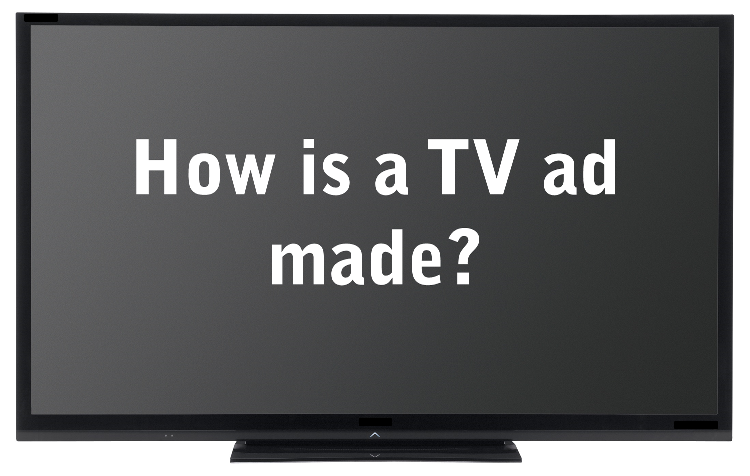 We can really improve as a presenter if we understand how an ad is made. But before we understand what presenters should learn from the process of making an ad, let me share the process itself. The advertising process starts with what is called an 'advertising brief'. In this document, the brand team shares their objective of making the ad. The target consumer, timing of the ad, language of the ad and a lot of other things are decided at this phase. The more detailed the brief, the easier it is for the agency. However the most crucial thing in this brief is the advertising objective. What does the brand want from this ad? Enhance its image among consumers or get more consumers to try the product or something else. Once the brief is received, the advertising agency gets to work. What they do first is to understand the target consumer better. What is the consumer like, what does she do, what does she hate, etc. Market research is also conducted many a times to uncover 'insights'. The objective of this research is to understand the consumer in detail. The agency also understands the brand. They know if the brand should be humorous or serious. Should the brand talk like a friend or an expert. This understanding is very critical. The advertising agency gets to work. The entire team sits together to discuss the brief and look at the consumer profile. They also go through the ads of competition brands to know what other brands are talking about. The copy writer (who job is to come up with a story) comes up with rough concepts (rough story). These concepts are like the entire story in a few sentences. Something like, "The housewife is worried about the child who does not finish his lunchbox. She talks to her neighbor and she recommends her Brand X of cooking oil. The kid now polishes off his lunchbox." The rough concepts are presented to the client (brand team) and the client choose one concept. This concept is now discussed and refined to suit the need of the brand better. It is tweaked and modified. The chosen concept is then presented to a group of consumers. This is called a 'Focus Group Discussion'. The concept is converted into an audio-visual at low cost and played to the consumers. The ad is narrated along with simple sketches. Now the consumers are ask to share what they understood. Do they like the ad? Does the ad meet the brand objective? If the consumers does not like the concept, it is shelved or changed. If the concept is liked by the consumers, it is fine tuned using the feedback received during the research. A suitable director is chosen to work on the ad. Some directors are good at shooting babies, some are good with humor, some are versatile. Everyone has different styles. The director meets the agency and brand team to discuss and add value to the storyboard. He uses his experience to make the ad more appealing and useful. The director then comes up with a 'storyboard' in which the full ad (say of 30 seconds) is broken down into individual shots. He draws the sketches which will help everyone understand how the ad will look like in reality. The dialogues are also finalized at this time. This is the final meeting which happens between the director and brand/agency team. This usually happens very close to the day of shoot. In this meeting, every thing is discussed in detail; the costume, the models, the shooting venue, music, etc. Everything is finalized at this stage. The director shoots the TV ad. Once the ad is shot, the post-production work is done. The music is composed, the editing is done. A 30 second ad is not shot for 30 seconds. It is generally shot for 60 seconds or more. Editing is one of the most crucial process in the making of an ad. The director presents first cut which is approved by the client/agency. Based on the feedback from client/agency, the final ad is released. It is now ready for airing. To summarize, the process starts with understanding the overall objective of the brand. Then understanding the consumer. Unless we do that, how do we make the ad which the consumer will find interesting? The agency develops a few rough concepts. The client chooses one concept which is further fine tuned. The concept is tested with a small group of consumers. It is further fine tuned. Then a suitable director is chosen. The story is further fine tuned using the director's inputs. The storyboard is created which has exact shots and dialogues. Every detail of the shooting is discussed (models, costume, music, etc.) and then the ad is shot. Advertising agency is a bridge between consumers and the brand. It understands the consumer and the brand and brings them closer.